Well, it's that time again. Next week I'd like to start another Frock by Friday. Now, I have two ideas in mind. Tell me what you think? One is very simple, great for beginners. The last one is definitely more advanced but I think the end result would be really interesting. First, the Anda Frock from Burdastyle shown above and below. It's $3.50. Is that too much? Would you prefer a completely free frock? And lastly, this. It would be a combination of the Burdastyle's Alexander Blouse which is $4.00 and the skirt piece from this free McCalls Pattern. Our finished frock would be connected as a dress, sort of like a faux top and skirt. The color and fabric combinations for this idea are simply endless. I'm game for either one. So you can't hurt my feeling by favoring one over the other. I'll go with the one that more people prefer. I'll post the chosen one tomorrow so that you can get your fabric and notions together by Monday. Sorry, I had to disable the Facebook comments. I haven't quite figured out how to view all of them yet. I can only see the last one that posted. They will be back up once I research it more. I love them both, but would really like to make the second one! Oh, the first one! I have bamboo jersey fabric that's waiting to be made into this dress. I was going to make another Anna Maria museum tunic, but I like this too! I love the second option! Can be worn to work! and if you have the time i would love to know who's pictured, there are some great variations n there i've never seen! I love the first one! Let's do that one please. I'm in favor of the second because the shape is so flattering. 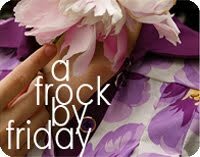 Maybe if it's too difficult, it could be a "Frock by next Friday." The first option. I'm still a beginner and have yet to participate, but that one is so cute, I think I could actually finish it! I am all for that lovely first simple dress pattern. 3.50 doesn't seem like alot for a dress pattern that I will probably use many times over. I love the second one! If I could make something like that I'd be so proud of myself! I think it's so flattering in the shape. I can't wait to join in- it will be my first one. please oh please the first one the first one!!!!!!!!! i have been dying to make a dress like this but i need your help!! I like all of the choices, but the skirt and top are my favorite. Where is the McCall pattern available free? Speaking like a beginner who barely knows all her stitches (and i'm sewing by hand) i'd say the first one. It's cute, and summery and simple and delicious. I love all the variations shown with the first dress. Thanks! And to view all of your facebook comments- not just the last two or three- there will be one option towards the top (right below where it says who "Liked" with a thumbs up your comment) that says to "View all # comments" click on that! The second one! I think I could do the first one without help, but combining patterns? I'd love to learn that from you! I vote for Anda now and the combo next month. That saves you from having to search for another pattern in a few weeks. Anda is so simple and summery. It would be great to make it now and be able to wear it throughout August. Then, it can be paired with a cardigan and maybe tights as the weather gets colder. I've been wanting to make the first one for a while. It's so classic. I'd love to make the first one. I'm just learning how to get better at sewing, and I'd love to make a dress! I don't see anything like that on my view of the Grosgrain page. Do you mean on my facebook page? i prefer the Anda Frock, on the top, but don't neccessarily take me into consideration as i have stalled on the first frock by friday... But the Anda Frock looks more comfortable, and a little easier to sew! I'm for the second one! I vote for number one! 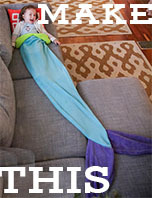 I have some great bamboo jersey knit that I think would be great for this...or maybe this calls for new fabric??? :) I don't think $3.50 is too much either. I am a new reader to Grosgrain, so I haven't done a frock by friday yet. I am looking forward to joining along on either one you choose. I'm voting for the second one, but the 1st one is super cute! I need more fall work clothes. I'm voting for the 2nd one even though the first one is super cute too. I need more fall work clothes!! the first one would be easier. now that mad men has started again we should do a 60's style dress next. I vote for the first, please! Oh I like the first one, I want to make your first frock by friday and I think this one could be a good introduction to dress making. It'd make a great cover up for my September holiday too! And I would love to learn how you would combine the patterns, as well has owning such a dress. The second one, as I was just looking at the Burda blouse last night on their website. If I wasn't pregnant I'd vote for the first one. Maybe if I moved the shirring line it would work. I think $3.50 is fine btw. 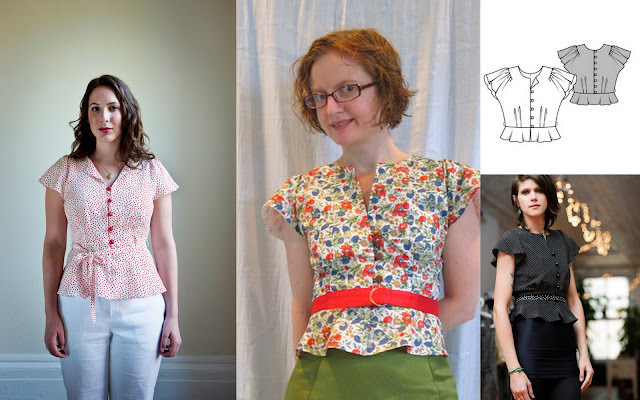 I vote the first one - because i have already purchased that pattern, but mine didn't turn out nice - and i already have some gorgeous liberty fabric that would be perfect. I love the second option as well, but don't have time to go fabric shopping before we start, and am trying to wear down my stash. Can we do the second one next time? I'd second the vote for doing the first one this month and the second shirt/skirt for next time. And paying for a pattern is not a problem as long as it is under $5. Thank you so much for doing these Frock by Fridays! Also when it is decided could you maybe put what would be good fabric options for the dress. I always struggle on that part. Thank you again! I would love to do the second one. Don't know how to combine patterns and would love to learn! not sure if i'll be able to do it yet...but if you want to count my vote, it's for the first one! Hello, I prefer the first one. It's a simple design but I'm sure that with a great fabric, it could look stunning ! I vote for the shirt & blouse combo. Sorry, but the first looks too much like a sack to me. I love the Anda dress. I vote that one! hi I vote for the 1st one!! Thanks so much for doing this! I prefer the first one for the sake of simplicity. The second one is cute too but a bit intimidating right now. I like the Frock By Friday series because I always learn new things. Option 2 looks like it has a lot of new yummy skills I can add to the arsenal - and like a zillion variation possiblities! Also, don't mind paying at all. 2nd option!!! I've been considering buying the Alexander pattern. It would be a step up in difficulty for me so it would be great to have your instructions for reference! I actually made my first two dresses (coffee date and tara) following Frock by Friday - I'll post pictures eventually, I swear! I'm loving the second one! I like them both. I like the first dress as a whole, but I've been wanting to make the top part of the second option for awhile now, especially since they've updated it. The first one looks really simple...but I think I would look frumpy in it. I would prefer the second one...it is very cute. I like the idea of a skirt top dress. I like the second best! I like them both - but I think the first one I would appreciate! I'm just a beginner sewer. I'm all for the first Anda frock...it's very cute and I think I would make it multiple times. Even though it's not much ($3.50) I still hate to shell out for a dress pattern when there are so many free options available online. That being said, however, I'm still in. This would be a great dress to wear year-round with layering as needed. Number 2! Or, one now, one the next time you do this! I love number 2, though, I was just looking at the Alexander blouse and thinking how cute and vintagey that is. The 1st option by far. It not only seems easier for beginners but it looks so flattering and like you mentioned the possibilities are simply endless. I love the navy dress with the red birdies. Would love that dress and would definitely buy it if I saw it at a store. It would be amazingly rewarding to be able to make it! The second one. It has more shape and would look great on everyone. The Anda is probably the one that I could actually do, but I love the second one and could really use something that I could wear to work. It would be nice to take on that challenge in this kind of setting. The first one -- perfect for summer and fall. Additionally, it would be great if you could shoe us how to modify the neck line into a v-neck! I like the first one because it suits my body type. That peplum style top on the second doesn't always work for the fuller-figured gals. Anda! I love that it can be done in a solid, a stripe, or a crazy pattern, cotton, linen, silk or jersey. Im thinking of doing it tunic style, with a little fisheye dart action, rather than the elastic casing- do you think that would work? 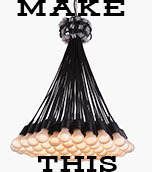 Do you think the anda is possible with fisheye darts instead of elastic casing? and could we lean how to make an obi style belt like some of the posters on burdastyle? I'm agreeing with the small group calling for us to do both: Anda first and the skirt/blouse combination next month/September. I vote for the first one... I really like it! I haven't participated yet because my summer has been so busy, but that looks like on that I could accomplish in a week. Oh I absolutely looove the first one!! I think there are more possibilites with the first one and it's more fun! I vote Anda! I have been looking for a dress with that neck and shoulder line. As a true beginner, I vote for the first one! I love the look of it too! first one! i'm new to sewing for myself and still figuring out fundamentals. Definitely the first one. It's super cute and I'm a beginner, it's like something I might be able to do. ...hmmmm love how easy the first one looks and would be a nice transition piece into fall but the other looks to be more complicated and i llove your help with tricky things like that, so it is a tough choice...maybe go with the second one but i am up for either one looking forward to it! I'm gonna second Hermoine and say Anda now, with the combo piece later. 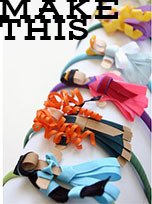 I love, love, love the idea of the combo piece and think it has lots of adorable back-to-school potential. The Anda has that cool summery floatiness than seems called for in August. And both options seem totally affordable. The second one! Burda blouse plus the skirt. I've been meaning to make this blouse, so this is the perfect excuse. The first one please! The perfect dress to max out the summer season..
Oh thats a difficult choice. I love the second dress but I am going to vote for the first one as I am still finding my sewing legs!! The first one! It looks perfect for the warm weather of late summer and I love the picture where the girl paired it with tights for when it cools off! Dudes, it's time to up the ante. OPTION 2, please. Hi, I'd like to start with the first one and then maybe do the second one. I need a fast summer dress! I'm afraid I'd have to do a lot of fitting for the second one. I vote for the first one - I'm excited for a beginner option! And it looks so cute for the end of the Summer! I love the first one! I might make two - one of fabric I could wear to work and a fun floral one for parties! The first one. It's so simple, yet stylish. Definitely the first...looks very comfortable and classy. Says, "it's summer, let's go have some fun!" The second doesn't scream summer to me, but rather, "summers over, time to head back to work"! PLEASE DO THE THE FIRST ONE, IT LOOKS SO CUTE AND LOOKS LIKE SOMETHING I COULD ACTUALLY DO!!! PLEASE DO THE FIRST ONE! IT'S SO CUTE AND IT LOOKS LIKE SOMETHING I COULD ACTUALLY MAKE. PLUS IT LOOKS LIKE SOMETHING I COULD TURN INTO A MATERNITY DRESS. First one please! It'll be my first time trying to make a dress! I vote for the first one, maybe this time I'll actually get one done! I vote on the second one, it looks very classy, plus I agree with Kitty, it can be worn to work. The first one please. I am determined to make a dress that I love. the 1st 2 attempts with the dress for frock by friday were a total bust, but this one seems like I can't mess up. I would love the second one! I've been wanting to make this type of "fake skirt+top dress" for a while now! Seriously, number 2! We are up to it! The second one, please! :)....Ho, I can see it's going to be difficult for you to decide. The first one seems for novice like me (though it's cute!) and I know I will have a lot of troubles sewing a frock like the second one, and so I'd like to learn from someone experienced how to work on a project in such level. in any case, thnx! I like Anda (the first one) heaps better! I love the Anda Frock. It looks really cute (and simple)! The second one for sure! I just bought it off the website yesterday, perfect timing! I really like the second one! It's more fitted and would be a great first "autumn" look! But if you do the first, I'm in too! I love them both but think the first one is the perfect "summer sewing" project. It just screams summer weekend date/party/errand dress. Save the more complicated project for when there is not the draw of outside and a vacation state of mind. do you know that german burdastyle has some free patterns in cooperation with perwoll? the instructions are in german, but for one of your next frock-by-fridays? THE FIRST ONE for sure!!!! The first one! Missed the last FBY but I'm excited about this one since I actually have time. 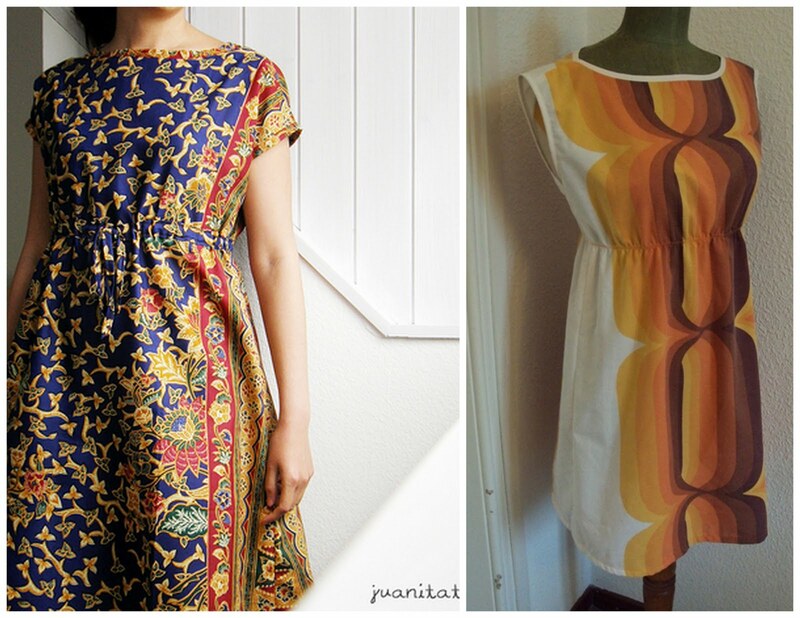 Thank you SO much for selecting my Anda dress for this post! 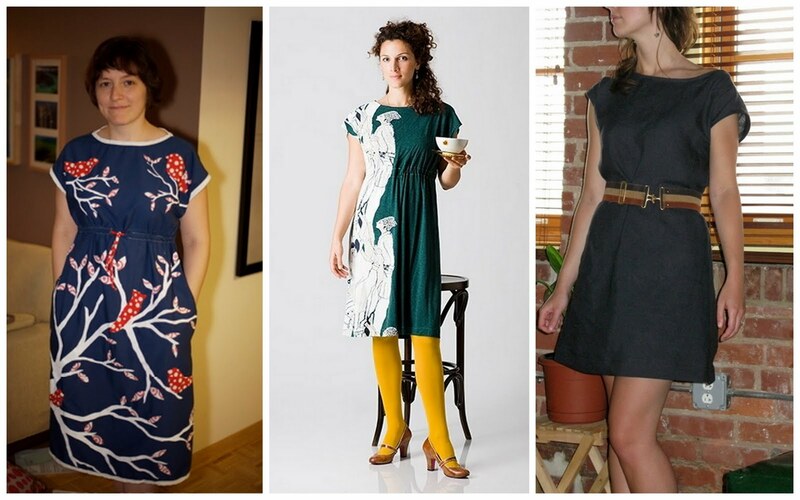 The Anda dress pattern is great, and I just like how versatile that dress is.